인도의 거리 예술가인 DAKU는 최근 Goa의 Panjim에 몰입감 있는 새도우 아트 설치물을 공개했다. 설치물에 적혀있는 글들은 "시간이 기적이다"와 "시간은 환상이다"와 같은 시간의 흐름과 관련된 구절들을 적혀있다. 최근 DAKU가 인스타그램에 올린 동영상은 하루 종일 태양의 위치가 바뀌면서 오른쪽에서 왼쪽으로 어떻게 움직이는지를 보여준다. 이것은 시간 자체를 시각화하는 것이며, 이것은 거리 예술에 적혀있는 문구 중 하나인 "시간 이동"을 분명히 보여준다. 시청자들은 피할 수 없는 시간의 경과를 심사숙고하면서 그림자의 끊임없는 흐름을 통해 DAKU의 예술에 몰입할 수 있다. 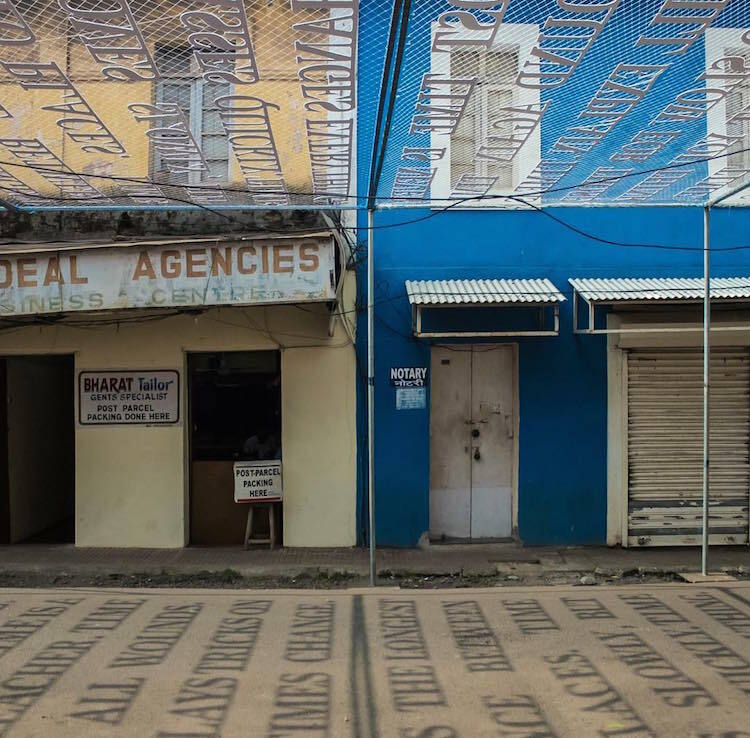 A recent time-lapse video posted by DAKU on Instagram reveals how the text moves from right to left as the position of the sun changes throughout the day. 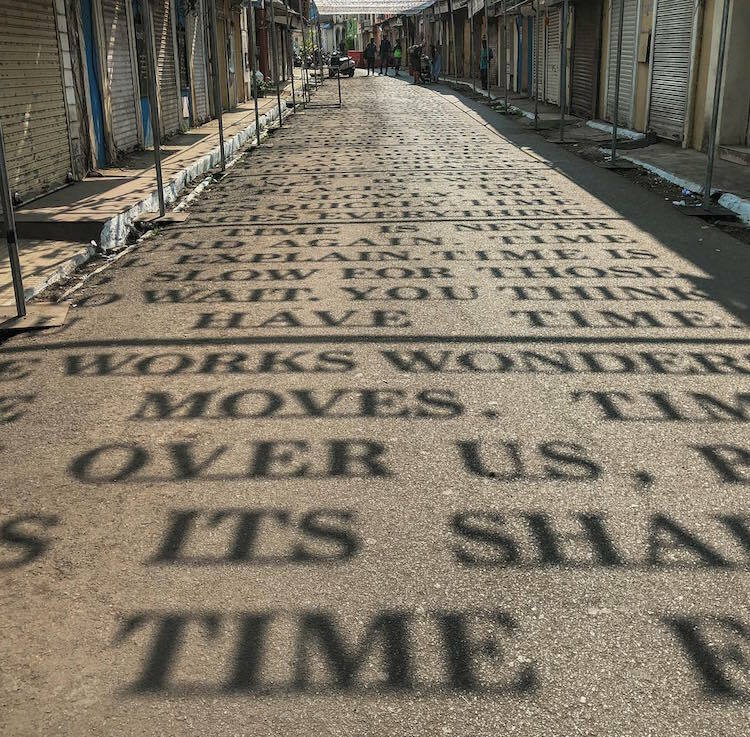 This is a visualization of time itself and it clearly illustrates one of the installation’s thought-provoking phrases—“time moves.” Viewers can immerse themselves in DAKU’s art by walking through the constant flow of shadowy letters while contemplating the inevitable passage of time. 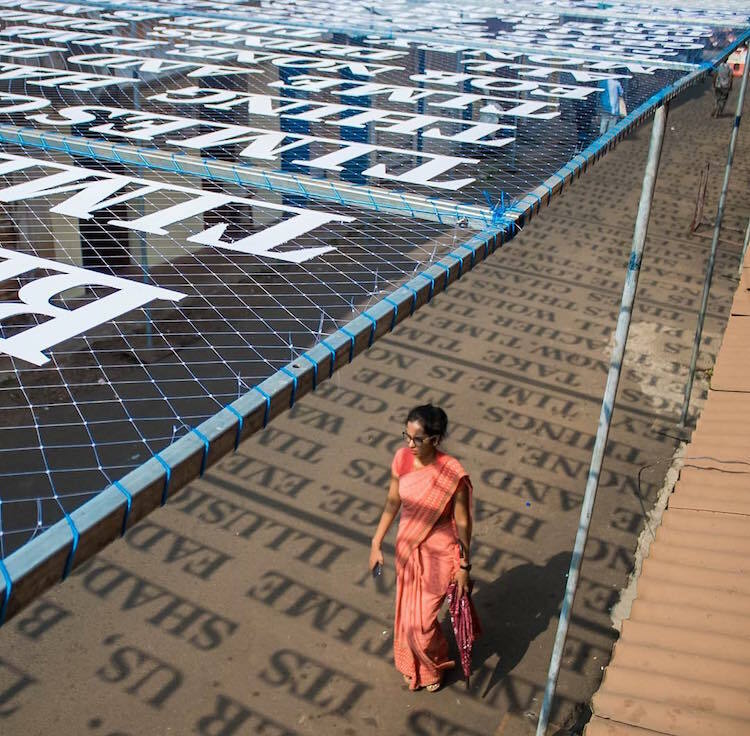 Theory of Time is supported by the public art nonprofit St+art India, as part of the Start Goa festival. For more of of DAKU’s work, you can follow the artist on Instagram. 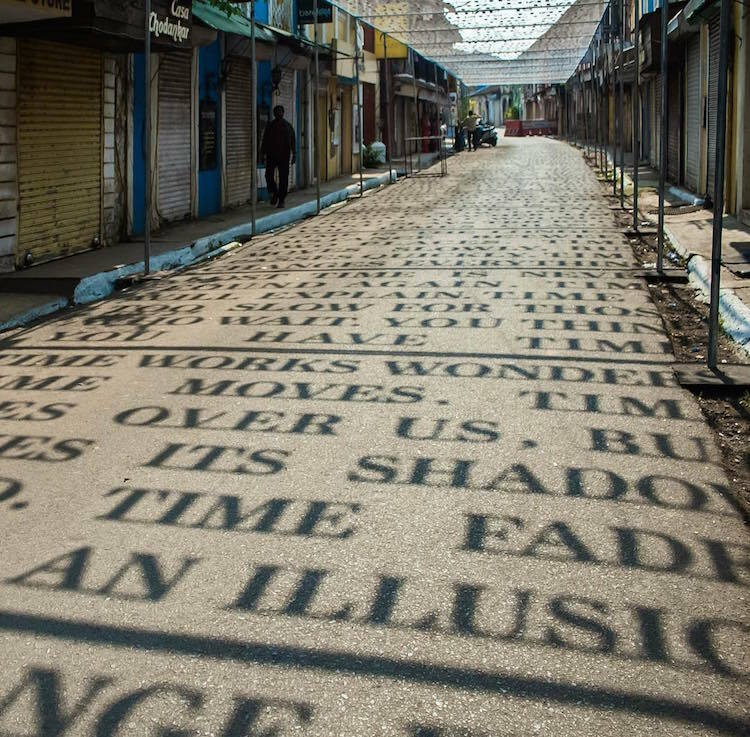 Street artist DAKU explores the passage of time with his immersive shadow art installation, Theory of Time. 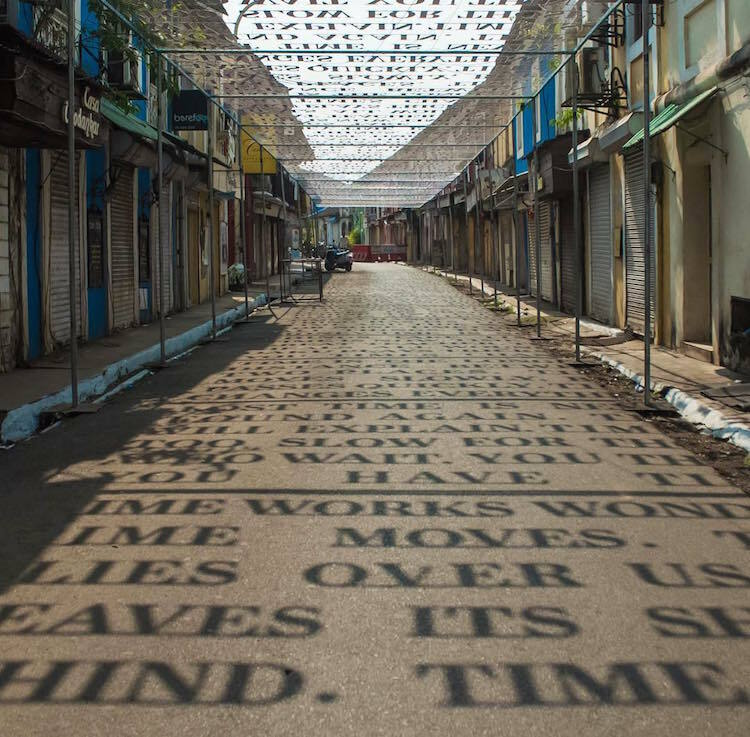 It features a net of suspended letters, that when hit by sunlight, create typographic shadows on the concrete floor. Watch a time-lapse that reveals how the time-related phrases move according to the position of the sun.